My name is Clifford Martin and this gallery shows a small sampling of my photography work. The name, Big Red Dog Photography, comes from an aviation call sign given to me by Military aviator friends. There is a popular children's animated cartoon series called 'Clifford - The Big Red Dog'. Since my first name is Clifford, I drive a big red SUV and I am a large sized individual, it was a natural for my call sign to be "Big Red Dog" or "BRD" for short. Photography has long been one of the ways I earn a living. While aviation photography is one area where I excel, I also am very accomplished at commercial product photography and special events photography, as well as standard portrait photography. I am a regular contributor to several aviation related magazines and my work has appeared in local, regional, national and international publications. My commercial product photography is in use by companies in their product catalogs, instruction manuals, web sites, and sales materials. My photographs have won awards such as Editor's Choice on 500px.com and several different awards on Pixoto.com. What you see here on this gallery site is a small portion of the photos that I have taken in the over 30 years that I have been doing photography. 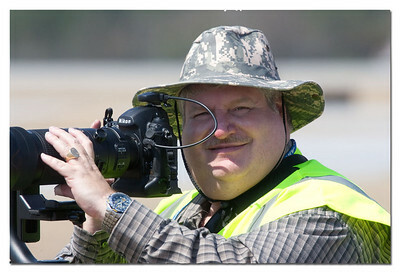 Big Red Dog Photography uses the top of the line Nikon brand cameras and professional lens. We have a complete portable studio, including backdrops and chromakey, as well as lighting equipment. We are fully capable of doing high quality location photo shoots as well as studio sessions. Phone contact can be made at 770-664-9819 or 770-335-2060.